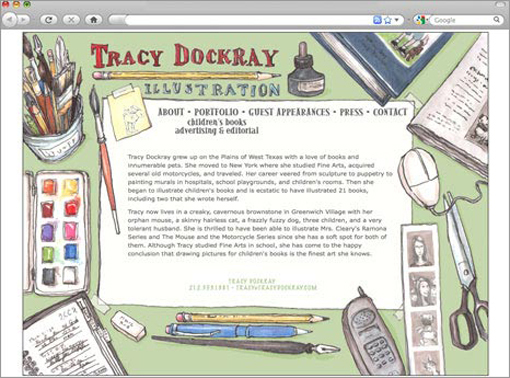 Tracy Dockray, a talented illustrator of many children’s books, including the beloved Ramona books by Beverly Cleary, needed a site to promote herself. Studio K&M worked with Ms. Dockray to create a site that mirrored her fun, lovable style and showcased the covers and second pages of the many titles she has illustrated. The homepage mirrors her desk and includes a playful rabbit on a Post-It-Note who bows when you first come on the site. Take a moment to click through. You won’t be disappointed.